Learn how to start and run an NP travel clinic. First ,I wanted out after 30 years of running my own primary care practice. The administrative burdens, health care crisis and future uncertainties, never mind the long hours, billing, coding and management issues and all the things that were taking me away from what I wanted to do most - spend time with patients, had worn me down. I wanted a part time, low stress, profitable practice. Second, there was a need int he community that wasn't been addressed. And so, I made a plan and started a travel clinic. My plan was to start it slow and easy while I was still doing primary care and then close the primary care practice once my travel clinic was performing where I wanted it to. And then I had so many NP's and RN's asking me how can they could do this that in 2016 I ran a live 2 day program on how to start and run a travel clinic. It meant you had to take time off, travel and try to absorb all that information in 2 very full days. That's when I decided to make this an online program. Do it at your own speed, replay it as needed. Have access to it all 24/7 for 365 days. 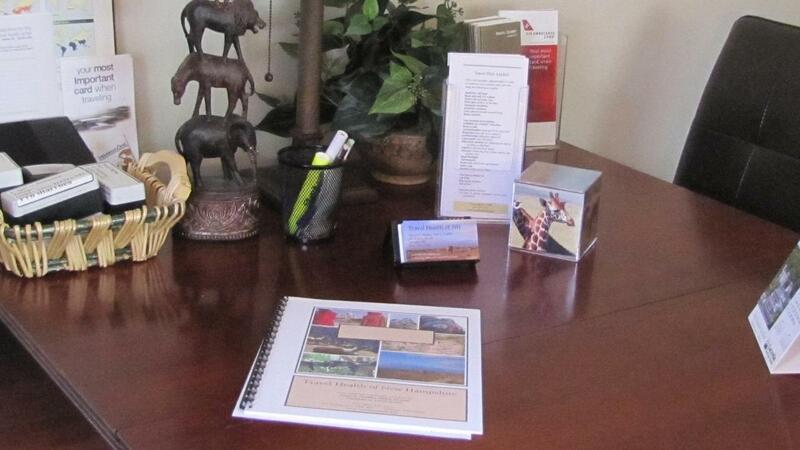 Owning, Opening and Operating a Travel Clinic is now available! Six modules and videos, with a comprehensive handout and a sample Travel Plan that you can use as a template for your visits is included at the Basic level. Want me to do more work? At the Advanced level, I'll give you 16 tools, templates, resources to save you hours and hours of work. Things like an executive summary, office visit flow sheet, making appointment script, what you need for IT retail and vaccine supplies and suppliers, a start up list, time line, HIPPA and privacy statements along with how you can get free access to a Travel Clinic Policy Manual and more! Just download, and edit it to your name and needs! And at the Pro level you get all that plus the online course "The Comprehensive Guide to Travel Health" an 8.5 AANP accredited CE program to teach you all the important skills you need to practice travel health. Yes, you can have a profitable small business - a travel clinic and I can show you how, step by step, with tools, tips, resources and all the support you will need. Oh ,and if you already own an NP business, how about adding travel health as another revenue stream to your practice? Get started now.